Every appeal by the State or Central Government under Section 377 (against inadequacy of the sentence) or under Section 378 (against acquittal) shall finally abate on the death of the accused. In such appeals, the accused will invariably be the respondent. by a victim under the proviso to Section 372 Cr.P.C. Every appeal against conviction under Section 374 Cr.P.C abates on the death of the appellant / accused except an appeal from a sentence of fine (vide Harnam Singh v. State of H.P – (1975) 3 SCC 343 = AIR 1975 SC 236). Since the victim’s appeal under the proviso to Section 372 Cr.P.C is a new species of appeal introduced only with effect from 31-12-2009, Section 394 (2) Cr.P.C cannot be literally applied to such victim’s appeal. This is because of the reason that if Section 394 (2) were to be applied to a victim’s appeal it can result in the miscarriage of justice. For example, in a victim’s appeal against an order of acquittal, if the appellant / victim were to die during the pendency of the appeal, then going by the apparent tenor of Section 394 (2) Cr.P.C such an appeal will abate notwithstanding the fact that the respondent / accused is very much alive. That would be a fit case where either the Legal Representatives (‘L.Rs’ for short) of the deceased appellant are permitted to continue the appeal or the appellate Court itself disposes of the appeal on merits ensuring that there is no failure of justice. “All that is necessary is that a sentence of fine should have been imposed on the accused and the appeal filed by him should involve the consideration of the validity of that sentence”. 3 Judges). Here also it was a special leave to appeal before the Supreme Court. The impugned sentence was imprisonment for life. On the death of the appellant / accused, the appeal before the Supreme Court had abated by the force of Section 394 (1) Cr.P.C (Section 431 of old Code). The question of continuing the appeal against a sentence of fine, did not really arise for consideration in that case. Under Section 70 of the India Penal Code, death of the offender does not discharge him from liability of any property which would after his death, be legally liable for his debts and the fine ordered can be recovered within 6 years of the order passing the sentence and if the offender is undergoing a sentence of imprisonment for a period longer than 6 years, the fine is to be levied before the expiry of the period of imprisonment. Thus, in the absence of the L.Rs seeking leave to prosecute the appeal within 30 days of the death of the appellant in an appeal against a sentence of fine, the appellate Court will have to dispose of the appeal on the merits, instead of consigning the appeal to the records room and waiting for the L.Rs ad infinitum to come up with a petition to prosecute the appeal. 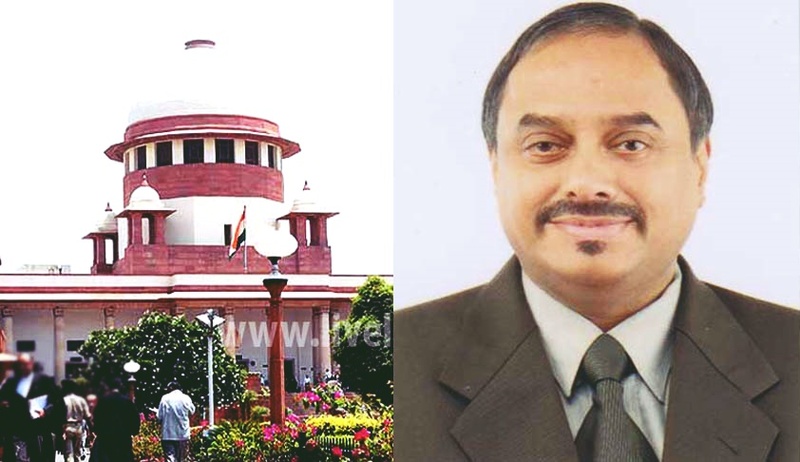 In State of A.P v. S. Narasimha Kumar and Others – (2006) 5 SCC 683 = AIR 2006 SC 2924 it was an appeal filed by the State against the acquittal of the accused by the High Court for offences punishable under Sections 381, 440 and 120 B IPC. Pending appeal before the Supreme Court the respondent / accused died on 15-01-2004. This was a simple case falling under Section 394(1) Cr.P.C and on the death of the respondent accused the appeal against acquittal filed by the State, finally abated. It was unnecessary for the Supreme Court to consider the impact of sub-section (2) of Section 394 or the proviso thereto. In Shri Shankar Prasad Ghosh (dead) v. State of Bihar and Another – (2008) 11 SCC 373 = AIR 2009 SC Supp 447 the appeal before the Supreme Court was filed by the accused against the conviction and sentence of imprisonment and fine concurrently recorded by the Special Judge (CBI) and the High Court . Pending appeal, the appellant / accused died on 15-05-2000. Five years, thereafter, the legal heirs of the deceased appellant filed applications for continuing the appeal. Without deciding the question as to whether there was any scope for condonation of the delay, the Supreme Court held that no explanation had been offered for the delayed presentation of the petition and accordingly dismissed the appeal as abated. Thus, an appeal against a conviction and sentence of death or of imprisonment shall not abate if the appellant / accused dies during the pendency of the appeal and any of his “near relatives”, within 30 days of the death of the appellant, applies for leave to continue the appeal and leave is granted by the appellate Court.